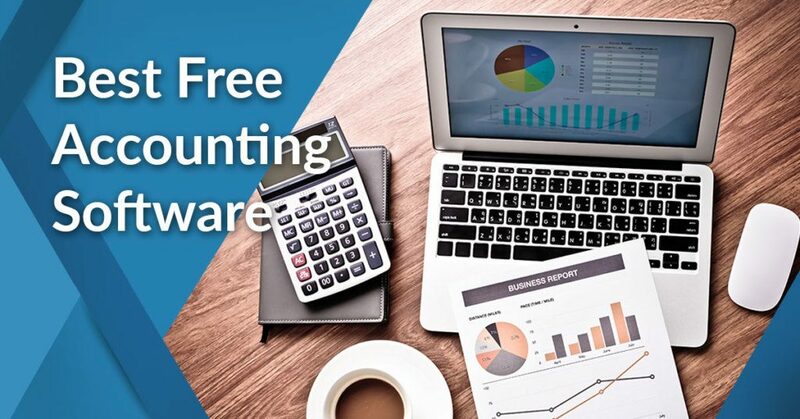 This article has been updated with the latest 2019 accounting software programs to reflect the most current free solutions for your accounting and finance management needs. What is the best free accounting system to try? The best free accounting system to try out is Zoho Invoice, considering the fact that it is a robust billing and invoicing system that gives out all its basic functionalities such as invoice creation, management and distribution for free. It is one of the most organized accounting solutions out there, helping guide small businesses on their path to growth. Its automation features help keep accounting processes error-free while providing users with reliable support. Are you using accounting software yet? If the answer is no, you’re definitely missing out on the numerous benefits that these tools offer. Contrary to what you might believe, accounting software need not be expensive. There are lots of free accounting solutions that can provide all the little guy’s needs. Many vendors offer free plans that have all the basic features that should be present in such a system, eliminating the need for additional tools. Now, you may be a small business owner seeking to move away from spreadsheets and take your accounting process to a whole new level. You know you can easily accomplish this with the use of accounting tools but the thought of having to spend a fortune on such systems is keeping you from doing so. There are thousands of solutions out there and choosing the right one can be a taxing undertaking. This is why we thought it prudent to narrow down your choices to a small selection of products that are the best in the niche. Here, we will present the best free accounting systems for you to try out. To give you a deeper understanding of these solutions, their key features and functionalities will be discussed in detail. With our guide, you will get a solid understanding of the benefits of accounting systems. These tools essentially help you save time, ensure the accuracy of your financial data, help with compliance and speed up payment processing through invoice generation, to name a few. What are the best free accounting systems to try out in 2019? Free accounting systems, many of which are cloud-deployed, are either offered at completely no cost or offered as free basic, lite packages of premium finance tools designed for a limited number of users. In some cases, the number of users and available storage will be the only criteria to distinguish between their functionality, but most of the time, vendors choose to arrange features in a basic/premium fashion for users to quickly find the plan that works for them. But above all, cloud accounting can help your business grow. This may as well be the reason why cloud accounting and financial management applications continue to enjoy being among the most commonly used business systems around. Luckily for sole accountants and developing teams, there are many free and freemium accounting systems that can keep their finances under control. For most of the premium systems, the transition to a paid plan (should you need it as your company grows) is also made painless with affordable prices, annual reductions, and refund guarantees. Zoho Invoice is a premium billing & invoicing system, and member of Zoho’s worldwide-popular business productivity suite. With all essential accounting functionality packed in a single system, Zoho Invoice offers one of the best free-of-charge alternatives for small and developing businesses. Reliable and in-time support also make the system a rare catch in the arena, having in mind that similar extras are often limited to premium users only. You can find out more about Zoho Invoice features in our detailed review of the platform. Why choose Zoho Invoice? Many businesses acquired Zoho accounting services despite being able to afford a more expensive solution, and that’s exactly due to the company’s devotion to simplicity. Zoho Invoice is one of the least cluttered accounting systems out there and involves no complex setup, maintenance, or upgrading on the user’s behalf. This accounting solution empowers users to create, manage, and distribute personalized invoices in a variety of currencies and languages, and thus minimizes error-prone human interference in large and sensitive transactions. There is more to Zoho Invoice than decimal precision though – our experts also recommend it because of the streamlined integration with popular payment gateways, thanks to which customers complete their payments all from a single platform. Zoho Invoice allows you to delete projects and payments in bulk while additional retail templates have been added to the system, which can be disabled and enabled at any time. Specific reports that are often used can be marked as favorites, enabling you to access them with ease. The system also generates both shareable invoice links, with the former shareable only through client portals. Who is Zoho Invoice designed for? Sole proprietors, small and developing businesses looking to streamline invoice delivery in a secure and well-connected system. Particularly recommended to users of other Zoho Products. According to category experts, Zoho Invoice offers one of the best payment-free accounting suites, where price is not directly dependent on the availability of premium features. Basically, free Zoho users will be able to create, manage, and deliver the same invoices as premium ones, and get access to the same integrations and customer support. The plan, nevertheless, is designed for single proprietors and accountants working with as many as 5 clients per month. If you want to try it out you can easily sign up for Zoho Invoice free trial here. What features will you have to pay extra for? Professional (Unlimited users, unlimited customers; $30/month). The number of users and customers is the only differentiation factor, while the feature kit looks absolutely the same in all packages. Wave is an absolutely free-to-use accounting system, currently employed by over 2 million freelancers and small businesses around the world. It is often referred to as the most popular open source alternative to financial control, with a suite that looks very professional, and has a lot of resemblances to high-profile, expensive accounting suites. Designed to cater to the needs of small teams and startups, Wave is simple, and strives to eliminate all distractions related to chasing payments, tracking expenses, managing employees, or handling taxes. In a fashion similar to Zoho Invoice, users can trigger Wave to create and deliver professional and appealing invoices, get paid on time, and track finances all along their transactions. Wave will also give them a straightforward possibility to collect payments from credit cards, which will work fine from the customer’s end as well. Our review of the solution will give you a detailed Wave overview. For a free system, Wave also has an appreciable organization capacity, as it displays information on comprehensive dashboards, and allows users to pull off detailed reports on their financial activities. Another important feature of the system is payroll management, as it makes it possible to calculate salaries and use direct deposits and pay stubs to make sure those are covered in time. The same with Zoho Invoice, Wave is ready-to-use on all devices and operating systems and comes with open developer API to help you design your own integrations. Who is Wave designed for? Sole accountants and proprietors and small teams looking to deliver invoices, manage expenses, and complete payroll & taxation calculations in a single system. Odoo combines sales and project management in a single tool, and enriches them with a variety of MRP, POS, and e-commerce functions to deliver a universal solution that can help all businesses manage all types of operations. Furthermore, the system goes a step ahead integrating every sales channel you can think of, which combined with its powerful inventory management, makes for the best business management solution to be found on the market these days. Odoo breaks the image of traditional ERP systems, mostly because it is highly modular: there are over 1000 modules to start with, and the user is free to add more while using it. As integrated as it is, Odoo will never compromise the benefits it initially delivers, regardless of the app you’re using to cover your business processes. What is more, Odoo is a highly customizable and flexible system that you could easily adjust to the specific needs of your business. If you want to learn more about the product such as Odoo pricing, read our review of the solution. Who is Odoo designed for? Small, medium, and large companies looking for an all-in-one business process management solution that combines the best of ERP, sales, accounting, marketing, and project management features. Odoo offers a free basic plan for 1 app that supports up to 50 users. The transition to the other two plans is painless and covers all the apps you need. Plus, all of the essential sales and ERP functionality offered by the provider is available in the free plan. Enterprise Plan (€25/user/month (minimum 5 users). The capabilities of the three plans are pretty much the same, and what makes the difference is the number of users, deployment options, customization access, and customer support. Web service Online Invoices is a powerful app that helps users generate invoices, accept and track payments while sporting business accounting functionalities. It also provides you with total visibility over your operations, giving you an idea of how your organization is performing. The system is made up of three modules intended to perform specific tasks like sales tracking, payment processing, invoice creation, client communication, inventory management, and accounting. The platform can track both income and expenses while supporting any device. This way, you are able to monitor your receivables and payables anywhere you are. You can add expenses and capture receipt images from any machine or device. It also generates comprehensive reports that can provide you with insights on the financial performance or your company. Our comprehensive review of the product will teach you about more Online Invoices pros and cons. Who are Online Invoices designed for? Any business looking to boost management of their sales, payment processing, and tracking, invoice generation and expense monitoring. Online Invoices’ free plan comes with a variety of features that can help you solve all your accounting headaches. All you need to do is to sign up for the service. What features do you have to pay extra for? The platform’s paid plans range from $9.95/month to $39.95/month. Their features are basically the same as those of the free plan, the only difference being in the number of client invoices, subscriptions, invoice layouts and estimates per month. Expensify is another affordable choice for money-matter control we warmly recommend to starters and low-tier market users. There is a lot to say in favor of this expense-friendly system, as it offers many benefits situated around a transparency maintenance mechanism. Expensify is an excellent choice for businesses looking to improve financial control, maintain summaries of several accounts at once, balance debt-to-income ratios, or particularly handle travel expenses. Expensify can submit expenses for later reimbursement or track personal receipts using individual policies. For the collection of expenses from clients and staff, you can create a group policy. Expenses can be submitted to any user with a validated Expensify withdrawal account for fast reimbursement. If you need to make changes to your personal policy, you can do so using the tool’s mobile app, which also supports modifications to currencies. This likewise makes expense tracking a lot easier. Both personal and business expenses may be tracked and even those of non-Expensify users. Companies also appreciate the numerous CRM, ERP, and eCommerce integrations that help them blend expense management with other sales or accounting operations. Read our review of the software to find more Expensify benefits. Who is Expensify designed for? Teams of all sizes and industries looking to manage travel expenses and make their financial operations more transparent. Expensify offers a basic free plan for teams with an undefined number of members, which has all the essential accounting functionalities and doesn’t limit receipt storage. Free users, however, won’t have access to the system’s direct integrations with accounting, ERP, and business intelligence software. Paid plans add integrations to third-party software, premium support & assistance, and several advanced expense management and security features. ZipBooks is a simple, yet powerful accounting & invoicing solution for individuals and teams, developed to organize their finances and turn their data into operable intelligence. This system works around strengthening financial control but also focuses on delivering professional and well-structured service to end customers. Hence, ZipBooks will allow accountants to send professional, elegantly designed invoices, get paid via credit cards or PayPal accounts, or trigger the system’s auto-billing when looking to reduce their workload. To make the system better, improvements to ZipBooks’ interface were made, making it easier to navigate. All needed tools are easily accessible with the creation of new items, taking but a few clicks. With its upgraded search functionality finding invoices, expenses, estimates, and customer data is a breeze. The same goes for creating these documents, which are only a click away. The platform helps you prepare your taxes, either on a quarterly or annual basis, eliminating the need for endless consultations with your accountants. If you want to know more ZipBooks details, read our review of the product. Who is ZipBooks designed for? Both single users and corporate teams looking to complete complex accounting operations, and then use their financial data for smarter forecasting. ZipBooks is a freemium system, with a great free Starter plan for unlimited invoicing and bookkeeping. Some of the top rated and most advanced features of this software (PayPal integration, analytics & Business Health score, for instance) are included in the free plan, and the application is not limited to a number of users. The robust knowledge base is also available to non-paying users. Express Accounts is NCH Software’s professional accounting & bookkeeping program for small companies. The platform is absolutely free for teams up to 5 members, allowing them to easily track payment and deposit transactions, pull off detailed balances and reports to examine their operations’ health and use those reports to facilitate the work of their official accountants. The very same functionality is offered to paid users, who nevertheless get to distribute the system among more than 5 users. Reading our review of the solution will give you more insights on valuable Express Accounts benefits. For free, small-biz users, Express Accounts offers a dedicated free application they can download for their local and mobile devices. Express Accounts gives you access to 20 different financial reports, very useful in gaining insights into your company’s performance and speeding up your tax preparation process. A balance informs you of assets and liabilities so that you’ll know what your financial standing is. This is further reinforced by the system’s generation of income statements where you get to find out about your profitability. It also allows you to drill down into your sales by analyzing them based on item, customer or sales agent. Another notable feature of the app is that a single installation lets you run multiple companies, even those who utilize foreign currency. Who is Express Accounts designed for? All users, from startups to professional accounting teams, looking for financial management systems that account for their stock and inventory data. Ideal for startup sales teams. For teams up to 5 users, Express Accounts is available absolutely for free. These teams get to use a dedicated desktop & cloud application that combines the best features of this professional, traditionally locally hosted suite. As their business develops, teams can always painlessly migrate to a paid plan, and download a full version on their local devices. An accounting software known for its ease-of-use, SlickPie offers numerous benefits, the most prominent of which is its ability to track sales taxes. This ensures compliance with different tax rules by monitoring different kind of taxes, including provincial, municipal, state and federal taxes. It also helps small businesses, nonprofits and entrepreneurs save valuable time from tax computation as the system does all the work for them. An automating feature makes things easier for you, providing you with needed information at any time. There’s more to SlickPie than tracking taxes, it enables you to recognize tax names as they can be customized to your preference. To save you more time, the system links specified taxes to specific products so that they can be classified as recurring deals. Tax calculations can be done on a quarterly basis, letting you know how much you owe for a particular quarter. It can generate financial reports that provide insights at any given time, which can help you make data-driven decisions. Find out more about SlickPie features by reading our detailed review of the software. Who is SlickPie designed for? SlickPie is highly-recommended for use by entrepreneurs, small businesses and even nonprofit organizations, giving them all the benefits of an accounting platform at very flexible pricing plans. SlickPie has a free Starter plan that offers basic accounting functionalities, although it’s limited to 10 company accounts. All you have to do is sign up for the service and you’re good to go. Aside from the Starter plan, SlickPie only has one premium package called the Pro plan, which comes for $39.95/month. It has all Starter plan features, the only difference being its support for 50 company accounts and phone support. Essentially an online invoicing app, CloudBooks also functions as an accounting solution. This highly-intuitive tool offers an advanced feature set, which includes, estimates, client management, invoicing, and time and expense tracking, to name a few. It even facilitates payments via secure online payment channels. Payments can likewise be made through credit cards, checks, and cash, allowing you to receive your payments on time. With CloudBooks, every billable minute can be monetized as it keeps a record of how time is spent on any project. But more importantly, it helps you get a handle on your expenses by tracking them and invoicing clients. Billing inaccuracies are avoided as expense tracking is done in real time with additional expenses added to existing invoices. Income and spendings are also managed by the solution as it can generate detailed reports that reflect expenses, payment collection and profits and losses. If you want to know about CloudBooks pricing, check out our comprehensive review of the product. CloudBooks’ free plan offers basic invoicing and accounting features that will work just fine for any small business. If looking for a free system that fuses accounting and CRM into a single streamlined unit, look no further than Roboeyelabs. This smart system combines all essential accounting features such as accounts payable and accounts receivable, billing and invoicing, cash management, purchasing, revenue recognition, and expense tracking, and integrates with Xero and QuickBooks to support users’ marketing efforts. The uniqueness of the system, nevertheless, derives from the presence of a neatly designed CRM kit that pulls in customer data for accurate sales pipeline creation and helps discover and convert business opportunities. Your bookkeeper will love how easy it is, having in mind that it automates invoice creation and delivery, and operates fully in the cloud to avoid any upgrade or maintenance concerns. The best part, of course, is flexible pricing, which combines a free plan, and easy migration to any of the paid options starting as low as $1 a month. Reading our review of the app will help you learn more about Roboeyelabs pros and cons. Who is Roboeyelabs designed for? Small and medium sales team that use invoicing as a mechanism for collecting customer data and improving customer relationships. Roboeyelabs’ free plan is called Bronze, and combines the best of the system’s accounting and contact management features without restricting the number of users or customers. What free users will lack in this plan is sales management capacity, including pipeline creation and end-to-end lead management. Rest API for open connectivity are absent from the free plan. Unlike most freemium accounting systems with a huge gap to surpass between unpaid and paid plans, Roboeyelabs makes migration an easy and painless process. There are only two paid plans that add up sales and social CRM functionality, and the most you will pay to get those is $2 a month (Silver Plan is available for $1 a month, while the Gold one costs $2/month). Invoice Expert is another free-to-use solution which combines inventory management with invoicing & billing capabilities. Users get to choose between a neatly designed Lite Edition (teams with up to 100 customers and products) and the professional Advanced Edition with unlimited customers/products and a personalized invoice designer. In both cases, users are liberated from paying hidden fees and support charges and can upgrade easily without re-entering their information. The system is designed to serve the billing, invoicing, and inventory management needs of diverse industries, including retail stores, internet-based businesses, and professional service providers, and comes equipped with a beautiful customer service and management suite. Quoting, as well as the personalized invoice designer are only some of the top-notch features offered to premium users, which make the system unique compared to much more expensive accounting vendors. Invoice Expert is also known for its various networking and connectivity options that help it blend easily in any software environment. Who is Invoice Expert designed for? Retail stores, internet-based businesses, and professional service providers interested in accounting systems that cover customer management. On-budget teams are invited to consider it because of its one-time purchase license. Invoice Expert’s Lite Edition is available for free, covers all of the above discussed invoicing & billing capacity, and yet doesn’t restrict the number of users or available storage. Nevertheless, unpaid users get to manage only 100 customers/products, and have access to forum support instead of technical email assistance. Invoice Expert offers a single premium plan (Advanced Edition) for an unlimited number of users. The plan covers everything included in the Lite Edition, but enables users to manage an unlimited number of customers and products and to use a personalized invoice creator. For this plan, customers will also have access to premium email support, rather than simply relying on the online forum. The Advanced Edition costs $69.95 (one-time download license), and is due to a 30-days refund policy in case the user is not satisfied. GnuCash is one more of our top suggestions for free accounting-finances systems, available for GNU, Windows, Mac OS X, Solaris, BSD, and Linux users. This easy to use, yet powerful and flexible system is available in several languages and is customizable enough to adhere to international accounting standards. It is particularly recommended to large and international teams looking to solve financial issues without spending a fortune to make that happen. The system makes it possible to track stocks, bank accounts, incomes, and expenses with unparalleled ease, as its interface is reminiscent of a standard checkbook where users can manage their accounts and pull off accurate reports. What experts point out to be the central capability of this software is double-entry accounting, thanks to which GnuCash matches and reconciles QIF, QFB, and HBCI transactions. GnuCash is also fully equipped for all main financial analyses and produces professional profit reports with graphs and charts. Who is GnuCash designed for? Small, medium, and large businesses interested in getting a complete, end-to-end finance solution for free. Particularly recommended to international and outsourcing businesses managing transactions on several geographies. GnuCash is a completely free accounting system, which means that once users download it, they’ll get access to all of its features without worrying about maintenance or recurring payments. Thanks to GnuCash’s utmost flexibility, your finance management needs will remain covered even when your database grows, which means there will hardly be any need to replace it with a paid system. TurboCASH is another master of the free and open-source accounting arena that is easy to configure and adjust to any corporate environment. Rather than a simple invoicing database, TurboCASH can be used as an advanced point of sale & cashier system that compiles all standard benefits of double-entry accounting. The architecture of this system is desktop-oriented, but TurboCASH still enables data migration and supports import/export of transactions as CSV files. With more than 30 years of experience arena, this successful sole proprietor project has gathered a large community of business users, researchers, and consultants that could help you learn more about the system, or maximize its potential to the benefit of your financial operations. Professional users and large teams can also check the attractive freemium package and make use of its advanced capabilities for only $60 a month. Who is TurboCASH designed for? Predominantly sole accountants and consultants, or proprietors running small retail businesses. Large teams are also invited to check the freemium package. Most of TurboCASH’s basic accounting and invoicing capabilities are available in the open source plan, which the user can download from their website and run immediately upon installation. The plan is not limited to a particular number of users, and they get to create and distribute as many invoices as they need. XTuple PostBooks is an open-source accounting, ERP and CRM system designed for Mac, Linux, and Windows users. The main idea of the company was to create a fully-featured and well-integrated accounting system companies could use to manage a larger portion of their business processes and to make such enterprise-level functionality available to startup businesses. This is how the system is now available for free, while professional users and large teams get to choose between the vendor’s different Enterprise, Distribution, and Manufacturing editions. Alongside combining the best-in-class accounting, ERP, CRM, and sales features, PostBooks is also an internationalized platform that supports multiple languages and currencies and is thus applicable to all geographies. You can also use it to track meaningful metrics and pull off all sorts of financial reports, as you have access to an open source report writer (Open RPT) at no cost.  Who is XTuple PostBooks designed for? Small and developing businesses that could use a complete business process manager to handle their accounting, sales, ERP, and CRM needs. PostBooks is a special XTuple edition for small businesses that combines the best of the system’s functionality in a single, unpaid package. Upon need, customers can contact the company and require a quote-based CPAL Open Source Initiative (OSI-certified Common Public Attribution License), or a commercial license for unlimited customer support. Corporate users should visit the official website, and give a look to some of the premium xTuple packages: Enterprise, Distribution, Manufacturing, or Commerce. Express Invoice is a robust invoicing system that comes with all the accounting features that businesses need. This Windows and Mac-compatible tool is designed to help you track and manage billing, quickly create invoices, and print, email and fax the same to facilitate faster payment. It can automate recurring invoices and statements so that you can focus on other pressing tasks. Reports can be generated by the tool, allowing you to monitor payments, sales performance, and overdue accounts. You also need not worry about making invoices for multiple businesses as the system can do that. And because the platform can be accessed from any browser, you can work anytime, anywhere from any device. No Internet? No problem, the system will not stop generating invoices and quotes in the absence of Internet connectivity. It can even help you with overdue payables by sending statements to clients automatically. However, the best attribute of the software is, perhaps, the fact that it has a free plan that offers all the basic functionality of such a system. Who is NCH Express Invoice designed for? NCH Express Invoice is designed for businesses of any size. For small businesses with less than 5 employees and home users, the software’s free version should do nicely. The software’s free plan includes all the basic functionality of an invoicing and accounting system, making it highly recommended for SMBs. What features do you have to pay for? It doesn’t take to be a qualified accountant to acknowledge the long-term benefits of digitized finance management. In fact, accounting & finance systems helped businesses reap so many automation benefits that actual accountants fear the possibility of their work being completely replaced by artificial intelligence. In fact, such is not only true for accountants as most Americans have been found to be anxious about artificial intelligence taking over their jobs. The prospects of this happening, however, is still remote that accountants need not worry about it at all. What’s seen as inevitable is the use of existing technologies like the cloud, blockchain and artificial intelligence to empower accountants and the financial industry as a whole. The innovations that these technologies bring will lead to the automation of tasks that have previously required staff to put in hours and hours of work. no or not, this revolutionary idea is already shaking the corporate world, where the value of full financial control is no longer directly connected to the cost of achieving such. This leaves us with the knowledge of accountants being able to keep their role in the corporate world through the use of accounting software. The fact that computer systems have yet to automate the expertise that accountants have to offer proves the limitations of these solutions. Instead, by leveraging the power of these tools, financial professionals will be able to future-proof their professions in the years to come. You too can benefit from these platforms, you just have to find the best one for you. Although Zoho Invoice can be considered as the primary choice, you should find out for yourself if it suits your needs. You can easily sign up for a free Zoho Invoice trial here. You can also learn more about other products in the category by reading our article on the 20 best accounting software for small business.